In the United States, October has been designated as "National Energy Awareness Month"-- emphasizing how central energy is to national prosperity, security, and environmental well-being. At IUCN's Global Gender Office (GGO), we also recognize the importance of energy, particularly renewable energy, and the necessity of access to modern, clean and renewable fuel sources for billions of people globally, not the least of which are women. Evidence from many sectors suggests that integrating women into all levels of the energy value chain will lead to more effective clean energy initiatives, unleash greater return on investments, and expand emission reduction opportunities. However, while more attention is being paid to the imperative role of women in the energy sector, there is still a significant lack of recognition of women as more than passive users of energy. For instance, the current composition of the energy sector, particularly at high-level decision-making positions, remains a homogenous group. The latest study conducted by the Environment and Gender Index (EGI) estimated that women occupy only 4% of the World Energy Council (WEC) positions and 18% of the WEC Secretary Positions. Adnan Z. Amin, the International Renewable Energy Agency (IRENA) Director-General says, "Here in the United States, a country fast becoming a leader in renewable energy innovation, we are seeing a rapid rise in deployment of solar PV in particular, along with strong investment in wind in several states and a leading focus on development of advanced biofuels. Overall, wind jobs in the US have increased by almost half - 43% - since last count to 73,000, whilst total solar employment surged 22% to 173,800 in 2014. We have also found that the employment of women in the US solar industry is on the rise, increasing from 26,700 to 37,500 last year." Energy initiatives can shift gender paradigms by promoting the empowerment of women, as these initiatives can have the ability to increase income-generating opportunities for women, reduce hunger and poverty levels, and enhance women's social and political status. The 2012 World Development Report noted, "Greater gender equality is smart economics, enhancing productivity, advancing development outcomes for the next generation, and making institutions more representative." As primary users of household energy for cooking and heating, access to energy for rural women critical, as studies have estimated that there are more than 1.6 billion people living without reliable sources of energy, and 2.7 billion people relying on open fires and traditional stoves for cooking and heating--and it is not unreasonable to assume that at minimum half of these are women. Meeting cooking, heating, and lighting needs places a significant burden on rural women and girls, negatively impacting their health and safety, and limiting education and livelihood opportunities. Improving women's status has an impact on many other development outcomes, including for children, and the clean energy sector stands to benefit from, and should contribute to, these kinds of improvements. To assist both policymakers and practitioners in understanding the significant and essential links between gender and renewable energy--specifically in order to bridge the gender knowledge gap around macro energy projects and the significant demand for guidance on large-scale projects--IUCN's Global Gender Office, in partnership with the United States Agency for International Development (USAID), recently launched the Gender and Renewable Energy (G-REEN) Platform--a knowledge and resource hub that aims to unite mitigation practitioners so they may share best practices and knowledge related to mainstreaming gender in the renewable energy sector. The G-REEN Platform connects experts via an interactive discussion forum on sector-specific issues, as well as provides an extensive resource library provides technology-specific resources on gender and renewable energy designed to inform policy and implementation decisions. Additional features include a list of relevant upcoming events and an interactive map showcasing gender and renewable energy projects around the world. With increasing implementation of mitigation initiatives, there are countless opportunities to further gender inclusive investment, employment and leadership in the renewable energy and energy efficiency sub-sectors. Many initiatives are already under way around the world to bolster women's involvement in the energy sector, including an innovative investment group in Sweden called Qvinnovindar, which is a women-only cooperative that has mobilized over 80 women and invested USD 1.5 million in wind-turbine generation in Sweden. We are more or less one month away from the much-anticipated United Nations Framework Convention on Climate Change's (UNFCCC) 21st meeting of the Conference of Parties in Paris. This is an unprecedented opportunity for nations to address gender equality concerns in the energy sector. Energy--particularly renewable energy and clean technologies--will play a crucial role in these negotiations, as it can offer vast mitigation opportunities and help to address the damaging effects of climate change moving forward. Policymakers need to keep the energy sector--which accounts for over 40% of global CO2 emissions--and women at the core of climate change discussions and negotiations. Women are an underutilized resource in both climate change adaptation and mitigation initiatives. With the proper capacity, women have the capability to represent key energy managers, contributors and beneficiaries of renewable energy and efficiency projects. Failure of nations to recognize the full potential of women will result in lost opportunities to achieve multiple benefits across the energy sector. 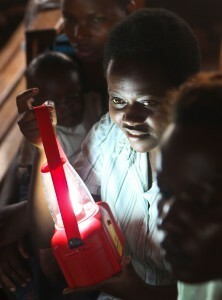 Increasing women's participation in policy dialogues, ensuring equal access to co-benefits generated by mitigation options, opening the renewable energy and energy efficiency labor forces to women, and un-tapping new investment opportunities through increasing women's participation as investors, will both support effectiveness of mitigation actions and pave the way toward gender equality in the energy sector.